Total integration 16 hours 23 minutes. Imaged on 6 nights between October 9 and November 11, 2018. 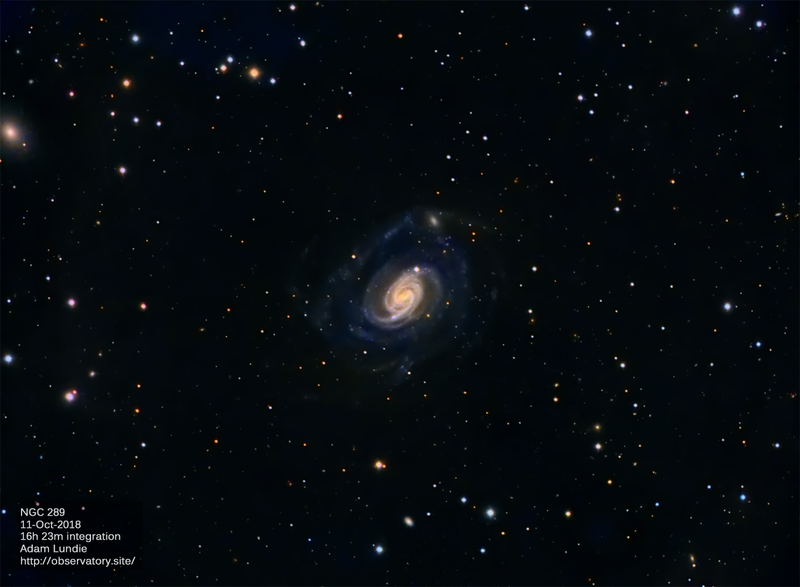 PixInsight: Calibrate, evaluate sub-frames, align, stack, crop, dynamic background extraction, deconvolution, color calibration, reduce noise, LRGB combination, histogram stretch, HDR multiscale transform, curves.